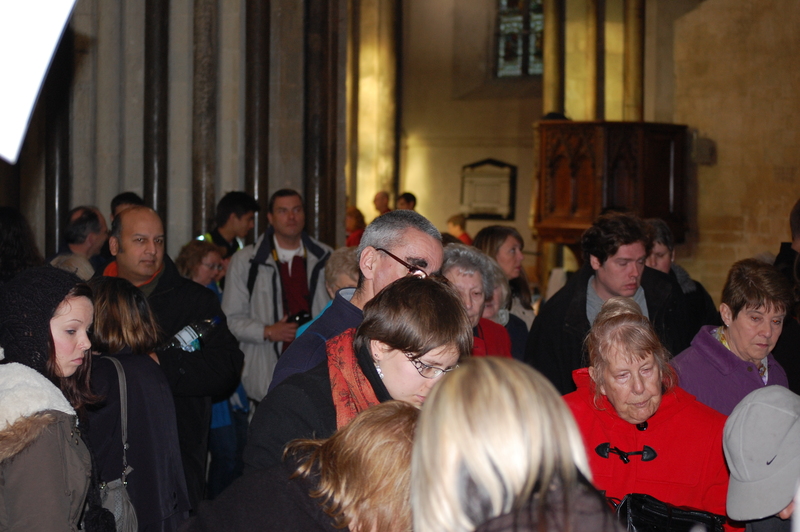 so … that was Dickens, when we saw an amazing 19000 people pass through the cathedra! That’s quite a few!!! 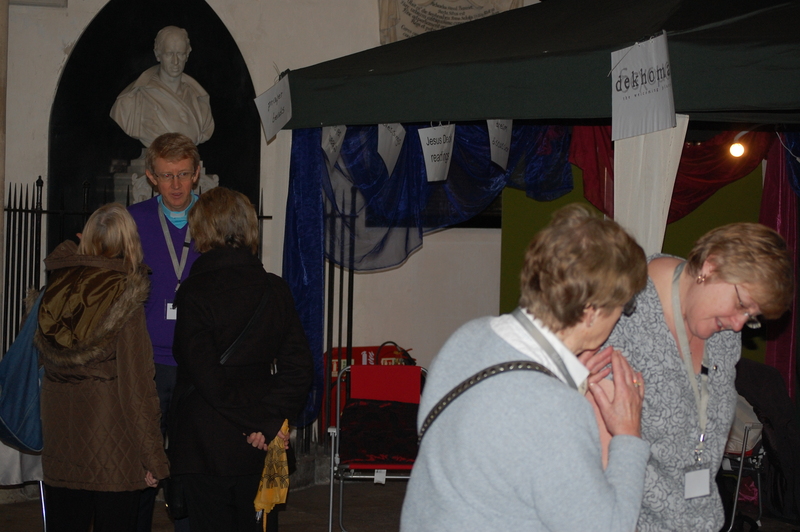 The team I worked with were excellent, and at times we had people queuing for hand or foot massages and Jesus Deck readings. The experience was such a humbling privilege as we engaged with many people on various levels from talking about the beading, to joking about Christmas, to praying for some form of healing. One person I will remember for a while was a distressed person shaking with fear who needed help. We simply prayed for God’s peace and this person became calm almost instantly which shocked her and her family. It was a delight to see. The weekend has again left me with far more questions and frustrations than answers. I guess the main frustration is how we seem to just scratch the surface with most of those 19000 choosing to walk past the stand, many even refusing to make any form of eye contact. I wonder whether a part of that is a fear of not wanting to engage with something of the ‘unknown’. My question, which I guess is closely connected, is why God seems to connect with some people and not others. Other questions which came up which I’d like to investigate sometime revolve around the whole idea of what people think they are doing in their actions. One of the team, Nathan, was reflecting on people lighting candles and asking what, in their mind, are they doing or trying to do? It’s an interesting thought as we heard people use language like ‘pray properly’ and ‘make a wish’ and ‘thats for uncle Albert’. The action of lighting a candle is certainly helpful, and thousands were lit this weekend, but it is interesting maybe to consider what is actually happening here for various people. This entry was posted in cathedral, dekhomai, mbs, mission, spirituality by robryan65. Bookmark the permalink. You were faithful and you were there. And I think that that was enough. Even the effect of you being there and some only noticing you out the corner of their eyes was good. Thanks- this was inspiring and thought provoking.